* CSIRO admits there are problems! This despite CSIRO CEO Dr Megan Clarke swearing until she was blue in the face in both the national media and in front of senators that CSIRO did not have a problem with workplace bullying. * Chairman of the CSIRO board, Mr Simon McKeon states that “one case of bullying is one too many”, yet the CSIRO board have done nothing about the allegations that have been raised with it directly including those of a serious criminal nature as well as allegations involving the victimisation and termination of whistle-blowers. CSIRO responds to review with staff training, but denies that harassment is widespread. CSIRO, Australia’s government research agency, has agreed to take measures to prevent workplace bullying. Pictured here is its headquarters in Canberra. The Commonwealth Scientific and Industrial Research Organisation (CSIRO), Australia’s national science agency, may face further scrutiny into accusations of bullying and harassment of scientists and other employees, even after taking steps to address the issue as required by a regulator. 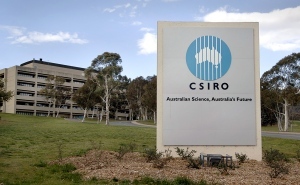 Accusations of bullying have swirled around the CSIRO in recent years. In 2011, the federal workplace authority, Comcare, began looking into complaints made by a former employee from the CSIRO ecosystem sciences division. Although the review found “no evidence of system deficiencies or a culture within CSIRO… that enabled or promoted bullying-type behaviour”, it did identify a number of specific concerns about the way the situation was handled. Comcare instructed the CSIRO — which employs more than 6,500 people, more than 4,000 of whom are directly involved in research — to improve its systems for managing cases of alleged bullying, setting a deadline of 31 December 2012 for compliance with a set of directions. In response, the CSIRO updated a number of procedures and policies, and put more than 5,300 staff members through training. In addition, 70 senior managers received separate training on the requirements for dealing with alleged bullying and harassment. However, a group of former CSIRO employees calling themselves Victims of Bullying, Harassment, and Victimisation in the CSIRO say that the CSIRO’s actions do not go far enough. Formed in mid-2011, the group has received more than 100 complaints (not seen by Nature), some involving accusations of multiple instances of bullying, according to Andrew Hooley, a former CSIRO project manager and spokesman for the group. Hooley, who served as a health and safety representative for much of his time in the CSIRO between June 2002 and February 2011, says that he had become a target for bullying after he questioned the probity surrounding a procurement decision. CSIRO says it won’t comment on individual cases. Its management admits that the agency has had problems, but says that CSIRO is dealing with them. “The organisation has worked closely with Comcare to ensure that we are taking all possible steps to create and maintain the best possible working environment,” says Craig Roy, CSIRO’s deputy chief executive responsible for human resources. On the positive side, Roy also says that the agency’s staff has a low voluntary-turnover rate, of around 3.5% a year, and that the latest staff survey, in March 2012, showed that 87% were proud to be associated with the CSIRO. Michael Borgas, president of the CSIRO staff association, says that the organisation is, by and large, a healthy one, but that he is worried that the bullying issue has damaged the CSIRO’s reputation internationally and made researchers overseas think twice about going to work there. It seems unlikely that the spotlight is going to shift away from the bullying accusations any time soon. In late 2012, Australian parliament member Sophie Mirabella wrote to science minister Chris Evans calling for an urgent inquiry into bullying at CSIRO. A spokesperson for Evans says that the letter has been referred to the department of industry, innovation, science, research and tertiary education “to determine whether there is any new information or action required”. “We will work with the department and with the minister in providing any information they need to make a call on what steps come next,” Roy says. congratulations on your work in getting “Nature” to write on this issue-CISRO management and the Aust Govt richly deserve such public embarrassment in such a famous and reputable publication.. This is the only way in my view that real change will happen.You continue to inspire those of us who have suffered from the same problem in other organisations..
Well that’s one way for CSIRO to get published in Nature… Pretty sorry state of affairs.